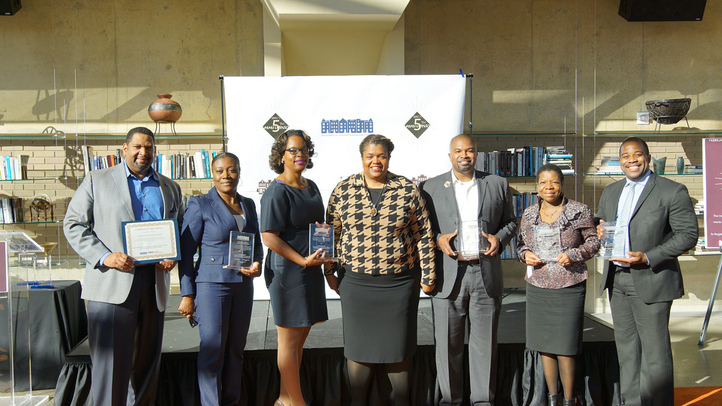 DCRA’s Small Business Resource Center (SBRC) celebrated its five-year anniversary yesterday at Arena Stage. The event highlighted the SBRC’s major impact in helping small businesses and the meaningful relationships fostering incredible partners over the past five years. For the past five years, SBRC has provided a concierge-type service to aspiring or current entrepreneurs in need of assistance. Through one-on-one appointments, group workshops, and partnerships with other organizations, SBRC has helped hundreds of entrepreneurs work to open or expand their business. SBRC assists entrepreneurs in getting a business license, certificate of occupancy, and developing a business plan among other services. SBRC has steadily increased its impact during the past five years. In its first year, SBRC conducted 130 one-on-one sessions with businesses. In the last fiscal year, SBRC conducted 651 one-on-one sessions and 98 group workshops, which combined to allow the office to assist nearly 2,400 individuals.